I cut out my square to make bias tape for piping. I cut and sew my long bias strips and reach for the cording, only to find there's not enough. JoAnn's isn't close by. 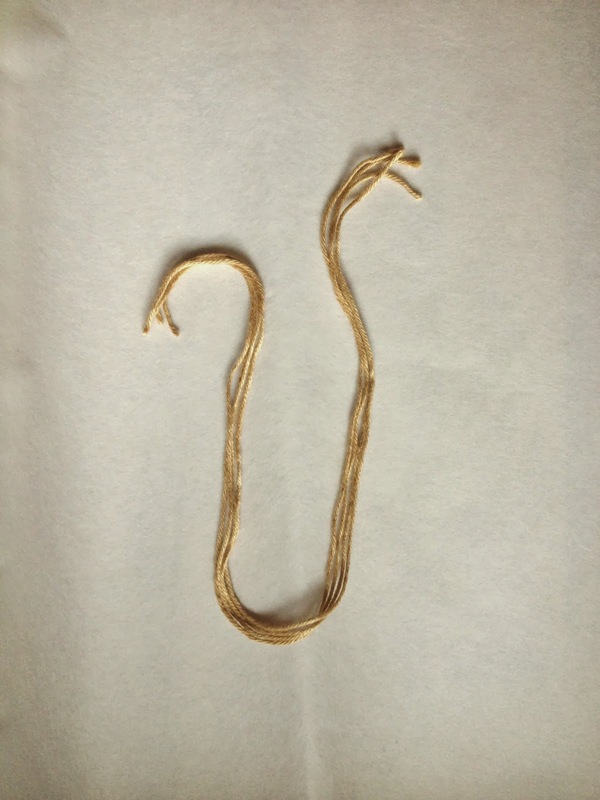 And cording is sometimes tough to find in other places. 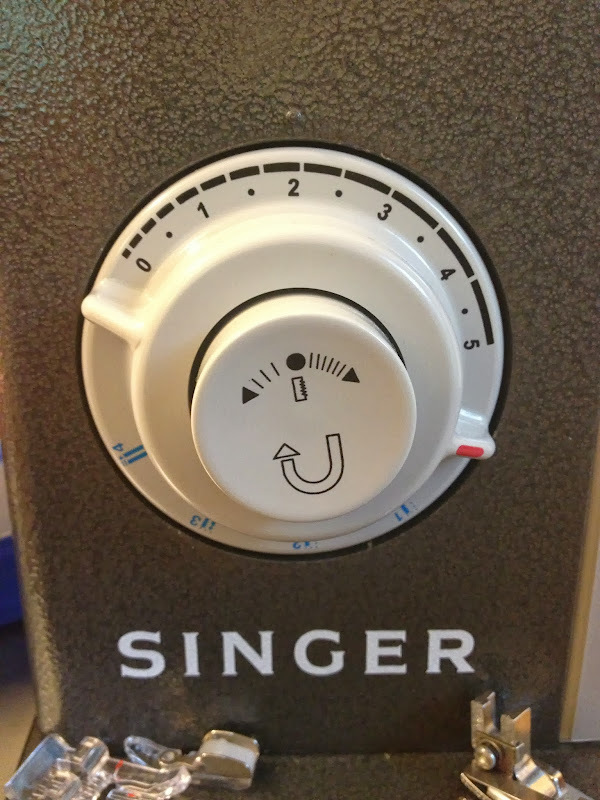 Today I'm offering up another solution that will save you a trip to the store and (bonus!) some money, too. If you've got any type of yarn laying around, you can make your own cording for piping. It's incredibly easy. 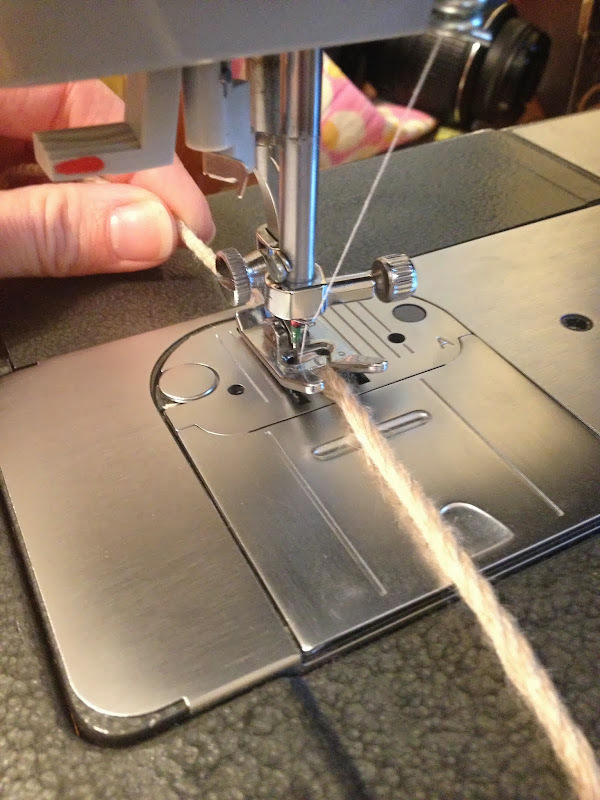 The process is similar to making a thread belt loop. I suggest light-colored yarn and thread so it doesn't show through your fabric. 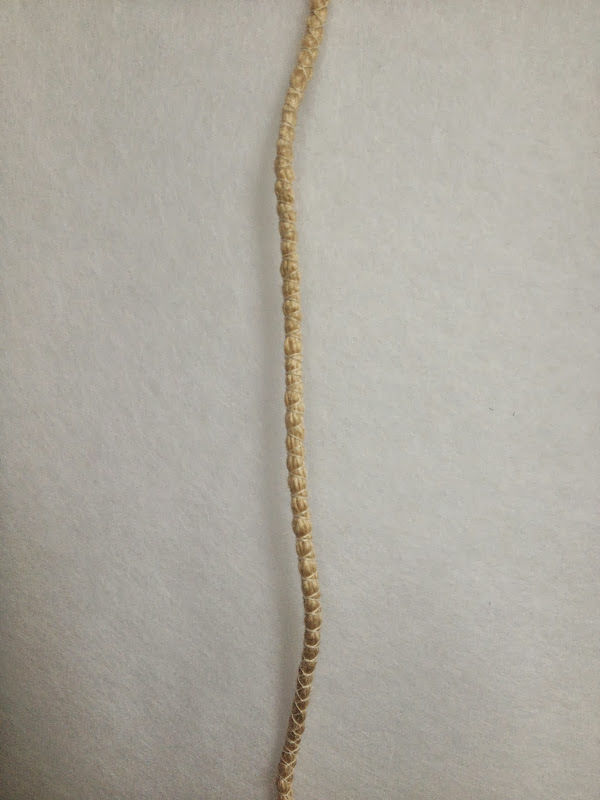 First figure out how thick you'd like your cording to be. For example, I used a typical worsted weight yarn and chose to use four strands. Cut them to the length you desire. 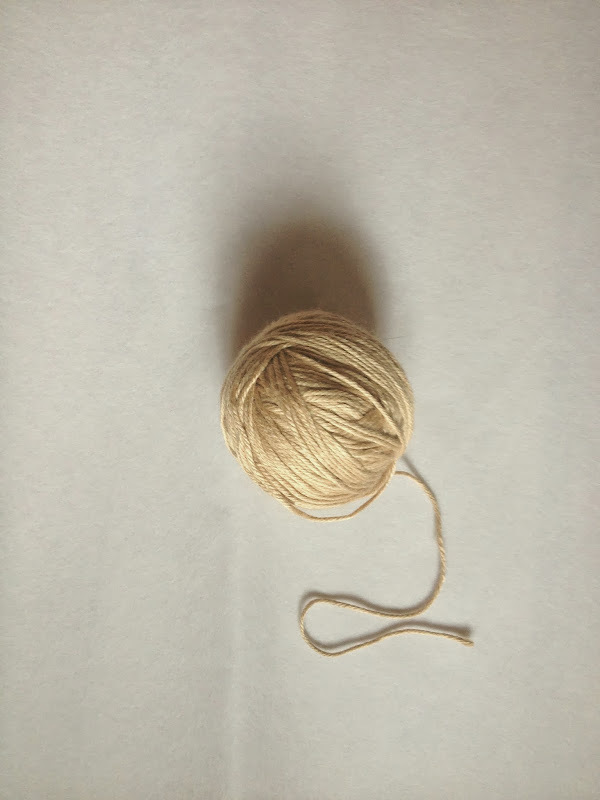 Twist the yarns together to make one strand. Insert the twisted cord under your presser foot. 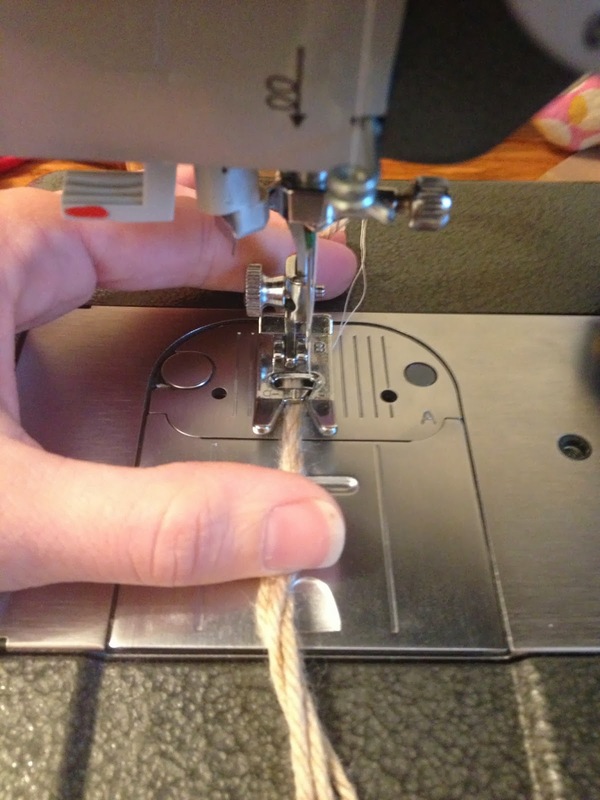 Using one hand in front of the presser foot to continue twisting, and one hand behind the foot to pull slightly and guide the cord through, sew over the cord. 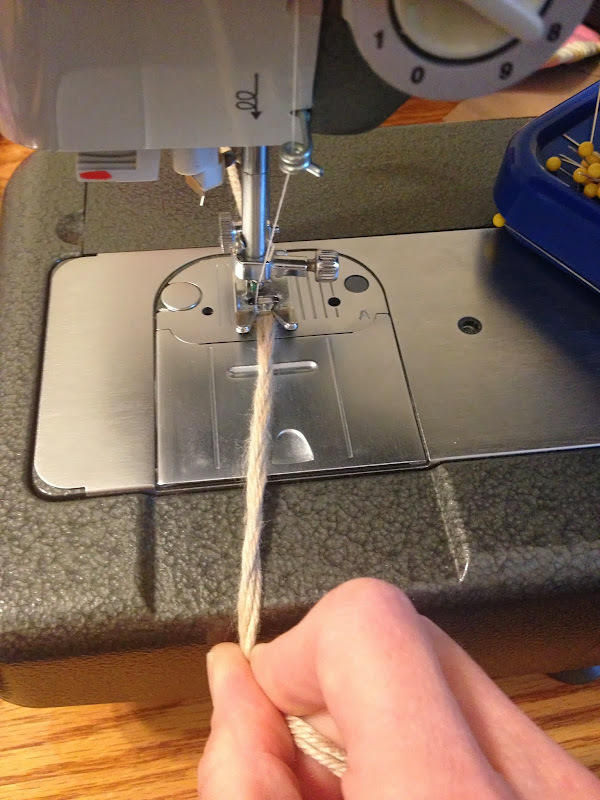 Try to make sure your needle hits on the outside of the twisted yarn. 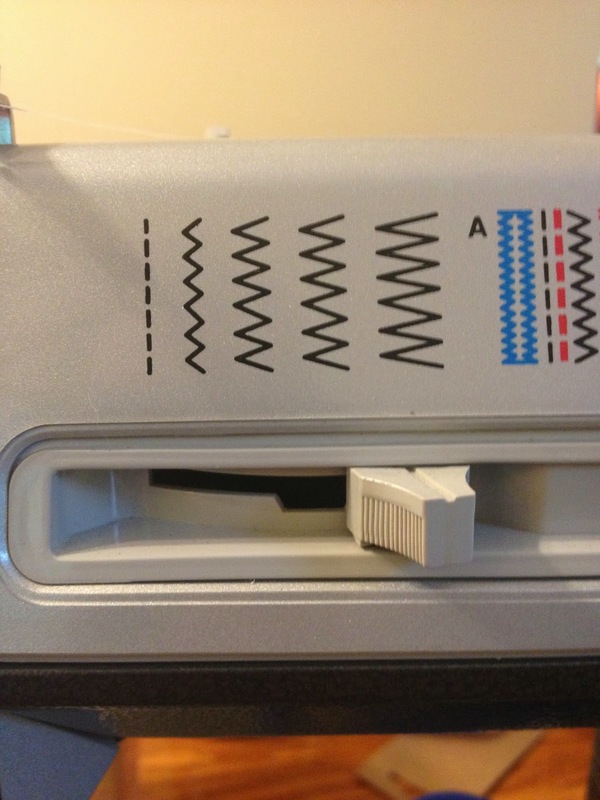 Continue sewing over the cord until length desired is reached. 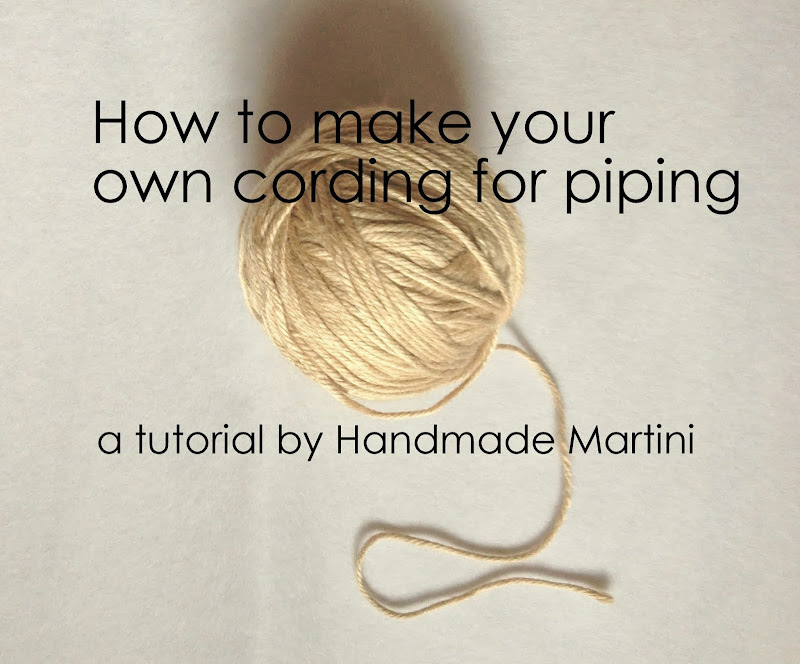 Now you've got cording and you're ready to make some piping! 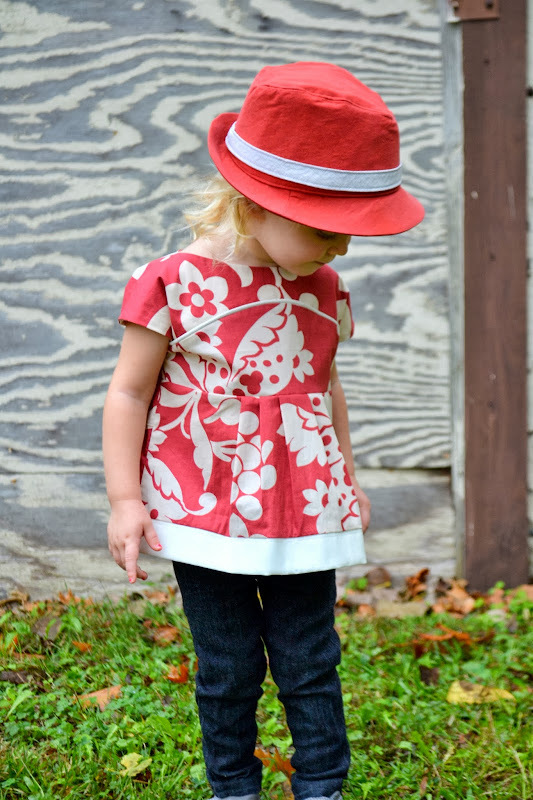 There are tutorials for making your own piping here (Coletterie), here (The Cottage Mama), and here (Burda). I used this method for the piping on the Maggie Mae and it worked perfectly! So true! I've gotten the wrong kind several times. 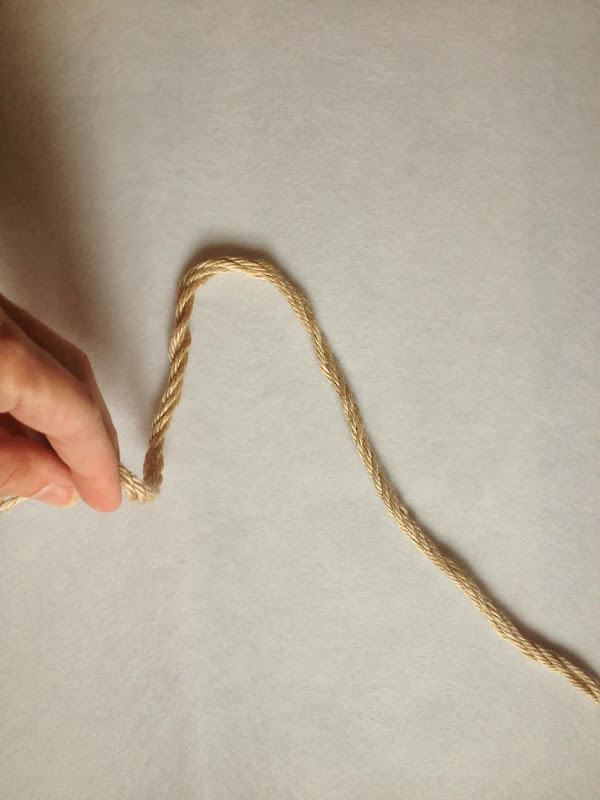 If you know how to knit or crochet, just make an I-cord the length of your the piping you don't have but need. An i-cord is just as quick as twisting and sewing four strands of yarn together. Thanks for that idea I did not know what an i cord was but I found out and I can do that and it seems easier than the sewing technique ! I have so much yarn in colors I will never use. They free given to me and I just can never turn down free. What a great idea!!! Thanks for sharing. This is so weird. I was driving this morning and thinking about how one could probably make their own piping and get on Pinterest and the first thing I see is this!! Wow, thanks!! Will definitely be using this tutorial. Haha! I hope it works out for you! I use clothes line route for my piping, very inexpensive and its so useful I keep a few hanks on hand. But this is a great idea for narrow piping. Great idea! If I'm every in need of some thicker piping in a pinch, I'll definitely try that.